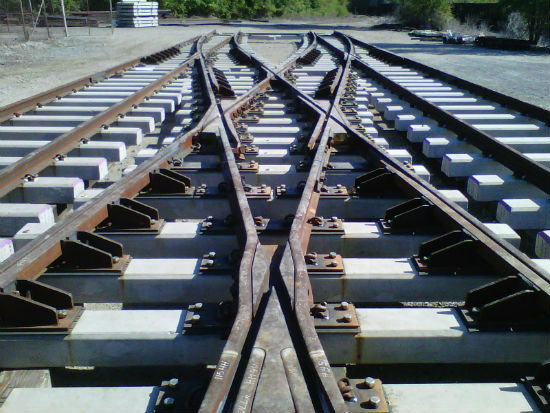 Referring to the signalling field, a Railway Interlocking is a set of signal apparatus placed on the track in order to prevent conflicting movements among trains, through an arrangement of track devices such as junctions , derails and crossings. Once a route is set and a train is given a signal to proceed over that route, all movable devices belonging to the route are set in the locked position, until the train passes beyond the section of the track involved or the signal to proceed is withdrawn and a certain time has passed, ensuring that a train approaching that route has had possibility to come to a stop before passing the signal. Alstom Transport provides us a brief but interesting video about Railway Interlocking, trying to explain the main working principles.